Sunday’s outing between two one-win teams in the desert represented a comedy of terrors for both the 49ers and Cardinals. But it looked like San Francisco would come away with its second win after having opened up a 15-3 fourth quarter lead. 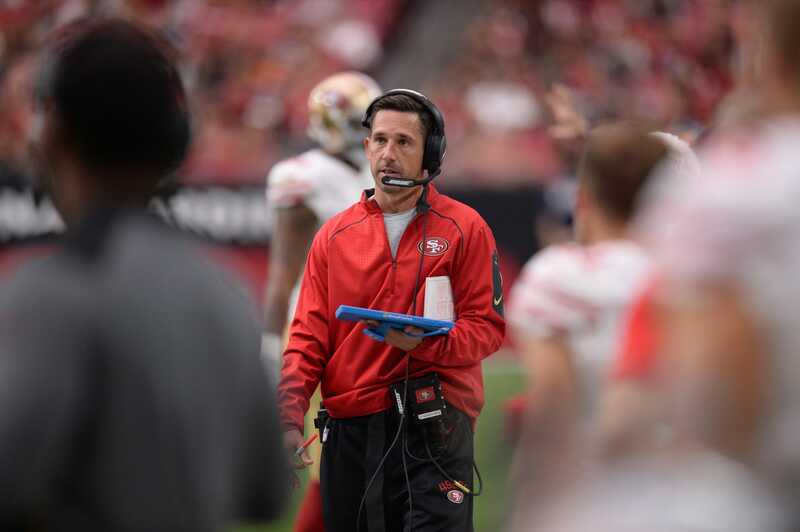 As we’ve seen throughout the young Kyle Shanahan era, it just wasn’t to be. Taking on a rookie quarterback and an offensive coordinator calling his first ever game, San Francisco allowed Josh Rosen to orchestrate two fourth quarter touchdown drives. They totaled 148 yards, leading an 18-15 Cardinals win. Again, this is just a manifestation of what we’ve seen from the 49ers. They’ve now lost four games by one score this season and nine by that margin since the start of last season. San Francisco held a fourth quarter lead in seven of those games. It’s readily apparent that defensive coordinator Robert Salah and Co. struggle under these conditions. Sunday was the most-glaring example, and it has San Francisco at 1-7.